Fessenden Follies is the story of the birth of radio presented as a steampunk revue. 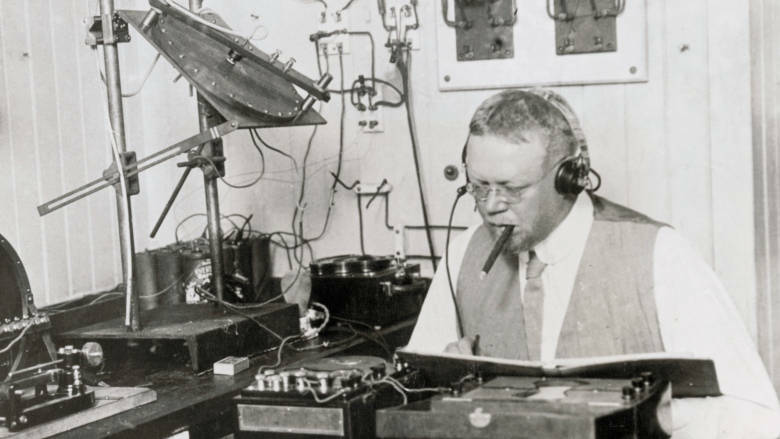 Most people think it was Marconi who invented radio but the man who eventually made it work was Reginald Aubrey Fessenden, born in 1866 in the Eastern Townships right here in Quebec. Even as a child Fessenden showed an interest in mathematics beyond his years and conducted experiments that astonished family and friends. His great dream was to transmit the sound of the human voice without wires. First, he perfected a new means of sending Morse Code more effectively than Marconi was doing, then on December 23,1900 at Cobb Island he successfully transmitted by wireless the human voice for the first time in history. During World War 1 he created and developed an echo sounder used by Allied ships to locate German submarines. After the war Fessenden saw radio flourish but not for him. He spent years in litigation trying to prove ownership of his inventions, based on his concepts. Fessenden finally gave up the fight and his backers sold the rights to Marconi. Consequently, Reginald Aubrey Fessenden became all but forgotten, having been totally eclipsed by Marconi as the inventor of radio.